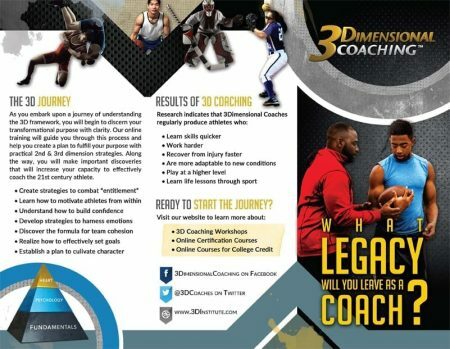 This resource is perfect to share an overview of the 3Dimensional Coaching framework. 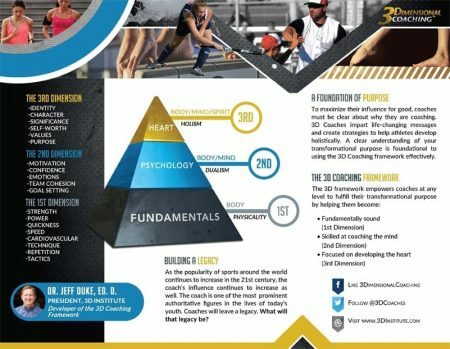 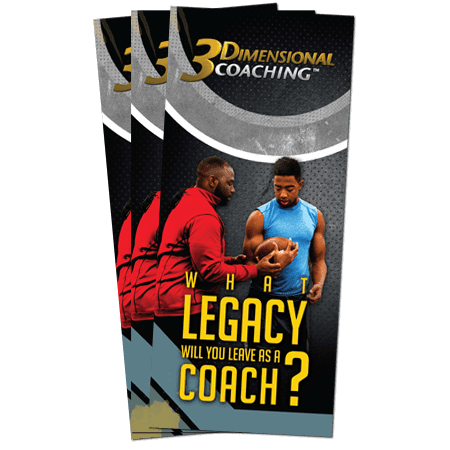 Whether you are passing them out at a convention booth, a coaches' meeting, at parent meetings or in 1-on-1 conversations, this tri-fold brochure will help explain what 3Dimensional Coaching is and how coaches can start the 3D Coaching journey. 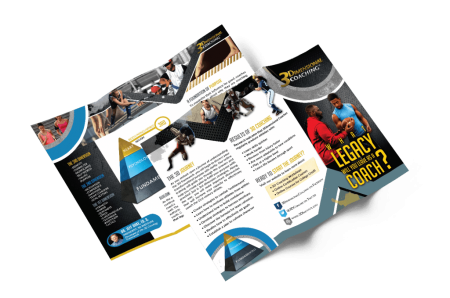 This full color tri-fold brochure comes in packs of 100 and is printed on Premium 100# Gloss Book stock from trees grown in environmentally sustainable forests.